Hampton Falls, NH:: Donald M Grant,. (1996).. First edition, signed limited issue. Number 117 of 2000 numbered copies (of 2050 total) SIGNED BY KING AND THE ILLUSTRATOR, Don Maitz. 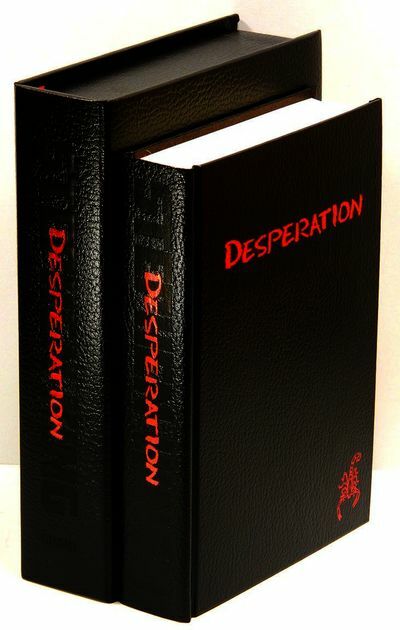 Small quarto (10.25 x 7.25"), black faux-leather boards stamped in black and red foil on front and spine; housed in publisher's matching red-felt-lined clamshell case. Issued without a dust jacket. Fine. .